A Tory MP has called on Remainers signing a petition to stop Brexit to join the Conservative Party. Antoinette Sandbach, MP for Eddisbury, near Chester, said in a tweet that if just one per cent joined the party they could have a ‘decisive’ say on who the next leader will be. It provoked an angry response from Brexit-supporter Arron Banks, who claims to have given millions to campaign groups calling for Britain to quit the EU. 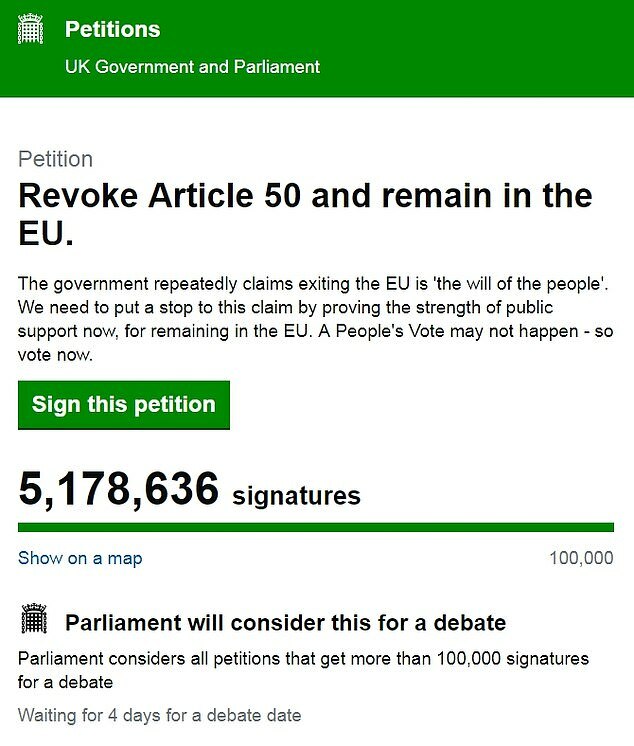 As many as 5.1 million people have signed the Revoke Article 50 petition so far, with the number still rising. 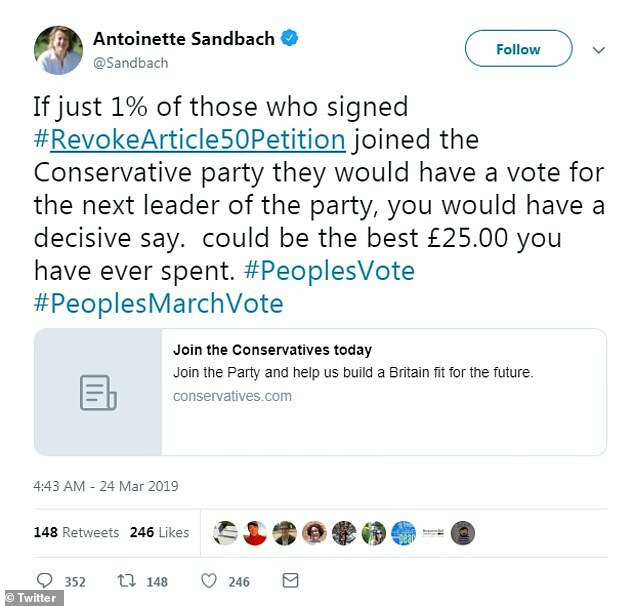 Ms Sandbach wrote on Twitter: ‘If just one per cent of those who signed the Revoke Article 50 Petition joined the Conservative party they would have a vote for the next leader of the party, you would have a decisive say. She attached a link to an application for Conservative party membership beneath her tweet. 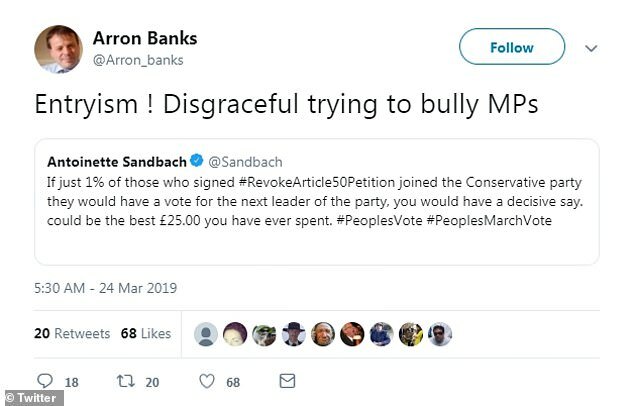 Mr Banks branded her tweet as encouraging ‘entryism’ and a ‘disgraceful’ attempt to bully MPs, causing the MP to respond. 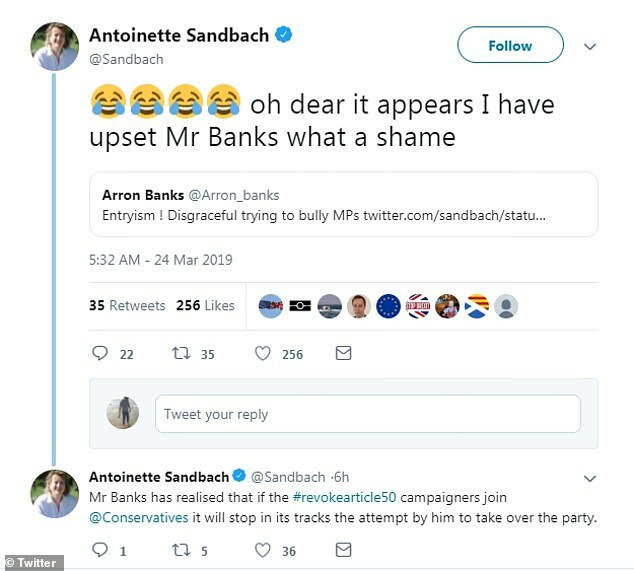 ‘Mr Banks has realised that if the Revoke Article 50 campaigners join the Conservatives it will stop in its tracks the attempt by him to take over the party,’ she said. Conservative Party members vote for the next leader from two options, after the possible candidates have been whittled down by the party’s MPs. 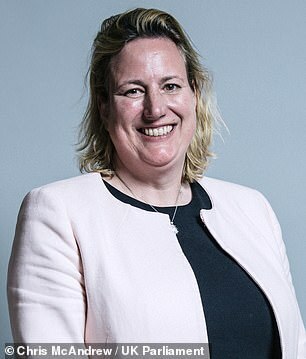 Ms Sandbach has been an MP since 2015 and currently sits on the Speaker’s Advisory Committee on Works of Art and the Business, Energy and Industrial Strategy Committee. The petition, titled ‘Revoke Article 50 and remain in the EU’, has already hit 5.1million signatures. ‘One million’ people marched through the streets of London yesterday to protest against Brexit.